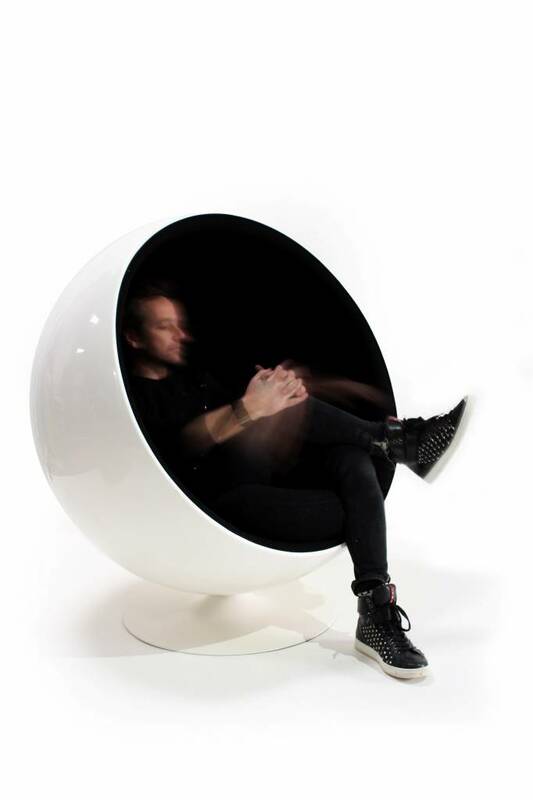 This Ball Chair is known for its unconventional shape. 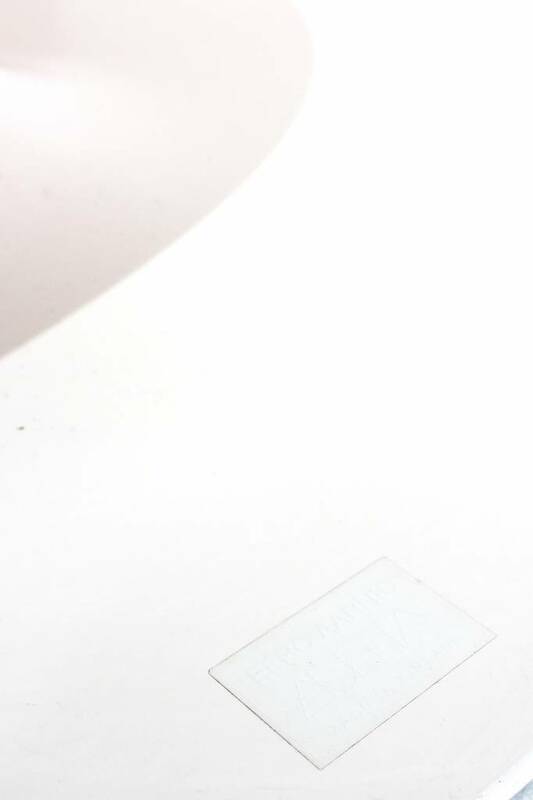 The seat is in perfect condition! A seat to dream away. We have been looking for this for a long time !!! 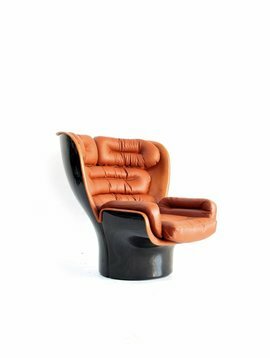 The super famous relax seat with the most memorable shape! 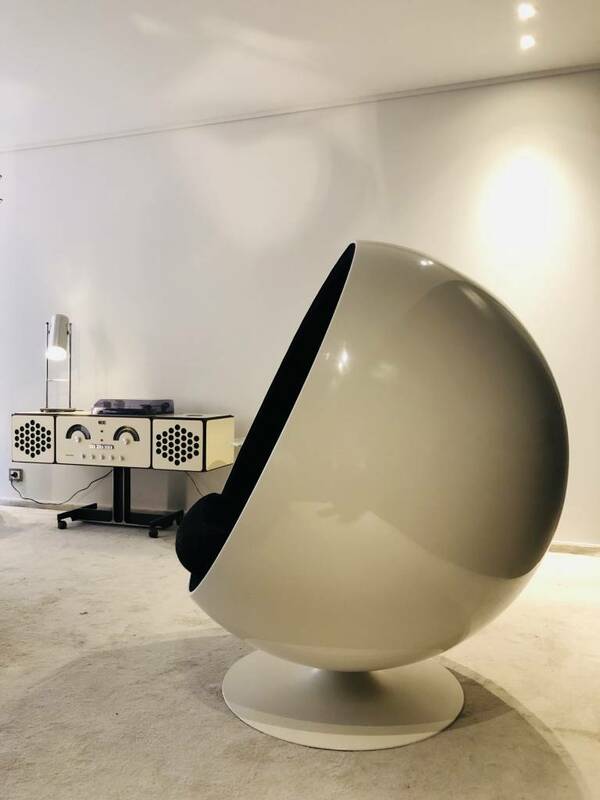 The one and only Ball Chair! 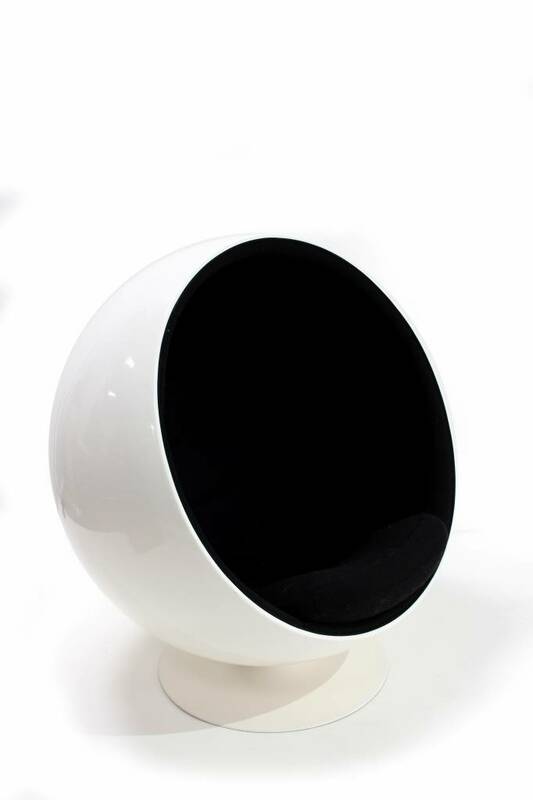 The Ball Chair was designed by Eero Aarnio for Adelta. 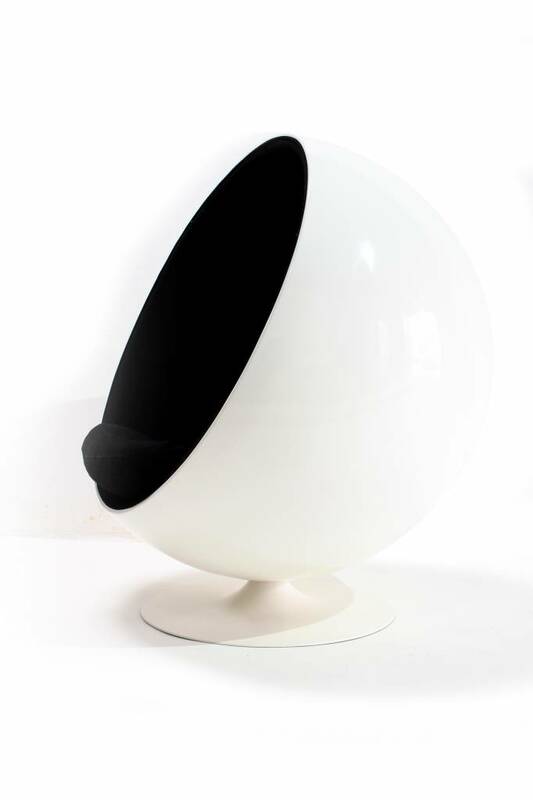 The Ball Chair is also called the Globe Chair by its shape. 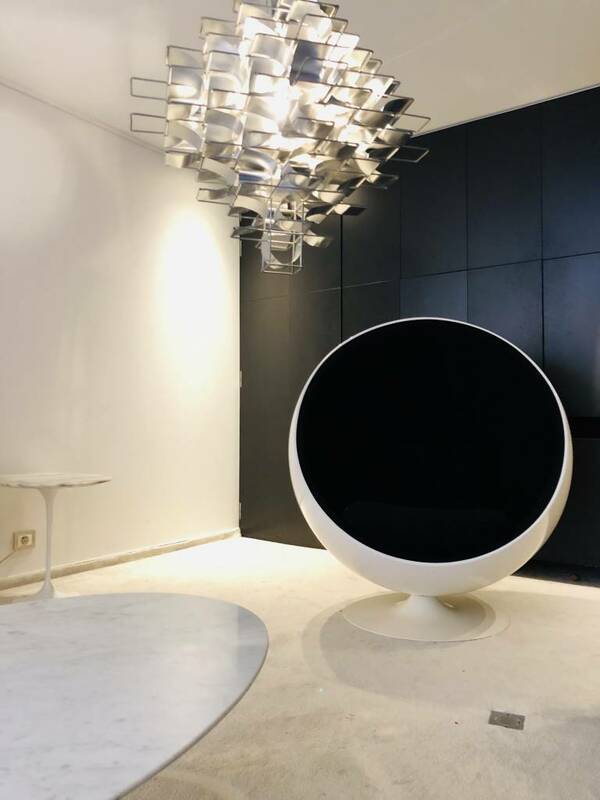 The seat was designed in 1963 and consists of an exterior in acrylic and a thick upholstered interior. 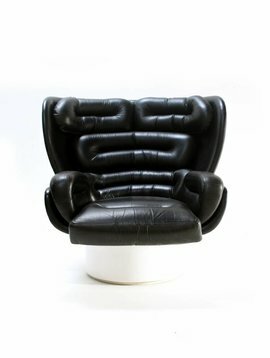 Through his form he became a classic of industrial design. Due to its perfect proportions it also fits through a door hole. For Eero Aarnio, naming the seat was clearly very easy. It gives such a cozy and cozy atmosphere when you go in there! You become, as it were, a bit isolated from what is going on around the Ball Chair. A real cocoon to de-stress or read a book. You come to rest and is very spacious inside. Because of its black material along the inside (which in many cases is red) it is dark inside and you really sit in a quiet soundless seat where you can immediately swerve.